Harry Dresden is having nightmares. In his dreams, all the people he cares about are shredded by the forces of evil and he is powerless to stop it. That’s what has always made Harry special: his empathy, his concern for the innocent, and the fact that he isn’t the most powerful being in town—like us, he’s infinitely fallible. He’s a tattered cowboy with a good heart and a spotty past. But despite being a caring man with a network of friends and allies that crosses boundaries others can’t, Harry ultimately is a lone wolf whose core need is to fulfill his own sense of honor when light and dark and the line between the two are not always clear. And now, it’s Harry who is in danger of losing himself to the dark. 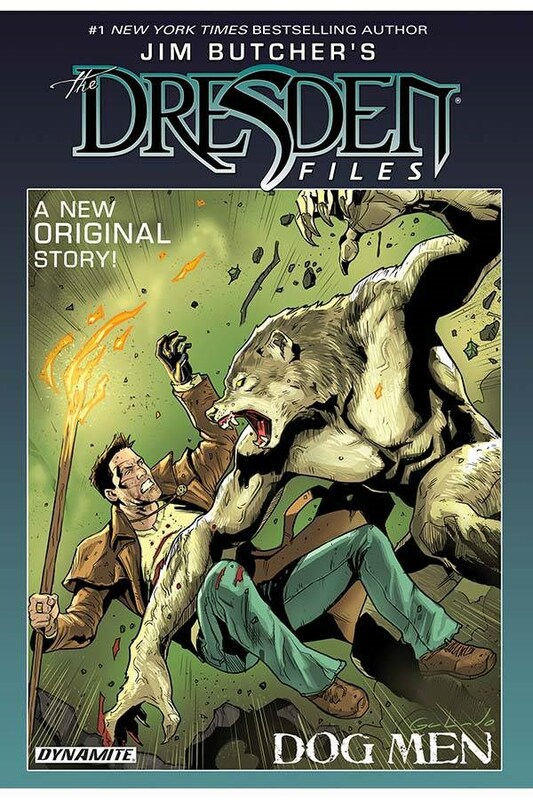 In Dog Men, cowriters Jim Butcher and Mark Powers team up with illustrator Diego Galindo for the latest graphic-novel installment in the Dresden Files series. Harry’s new case is brought to him by Listens-to-Wind, an ancient, demigodlike member of the White Council to which Harry owes allegiance as a Warden and who once saved Harry’s life (Summer Knight). In rural Mississippi, a series of brutal deaths indicates a supernatural aggressor. All signs point to the massively powerful wolf people—who aren’t shapechangers, like werewolves—as the perpetrators, but Listens-to-Wind thinks otherwise. As events unfold, Harry has to figure out what is the right thing to do: avenge those he cares for, attempt to wipe out all enemies indiscriminately against overwhelming odds and fail, or find a third way. However, overall, the tight plotting, dramatic action, and “lonely cowboy” theme make this three-issue volume a decent addition to the Dresden saga. It is one that diehard fans will not want to miss.